Vertice provide fast, efficient and reliable professional services to meet the demands of today's sophisticated and fast-moving world. We provide an entrepreneurial approach to finding cost-effective solutions to enable a greater deal of certainty to project outcomes. Discover how you, or your business, can benefit from our comprehensive range of traditional, bespoke or online services. We provide high level solutions tailor-made to your project. We are meticulous in our approach offering sound commercial advice, risk and project management plus a wide range of specialist services. Our exclusive range of technical Guides available online or through your mobile app will put you one step ahead of the competition. Low cost solutions available right now. Our unique online consultancy provides direct answers to your questions - fast - wherever you are revolutionising how solutions are delivered without compromising service quality. 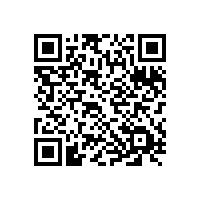 Android QR Code to scan. To download the Vertice mobile application onto your Android device, scan the below QR code with your phone using any barcode scanning application.